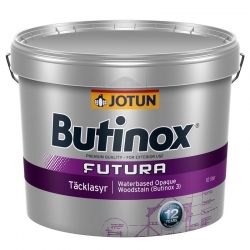 Jotun Butinox Futura 3 has been discontinued by the manufacturer. 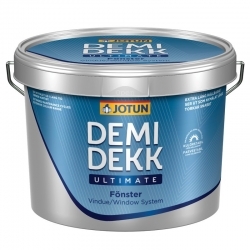 We now offer Jotun Demidekk Ultimate as an alternative. Jotun Butinox 1 has been discontinued by the manufacturer. 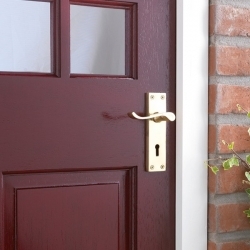 We now offer Jotun Demidekk Translucent Woodstain as an alternative. 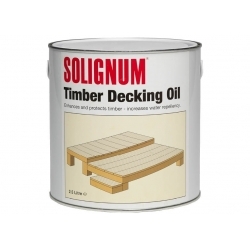 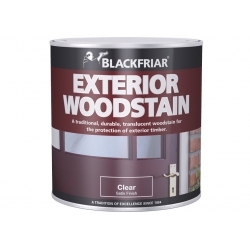 Enhances and protects all wood and external joinery. 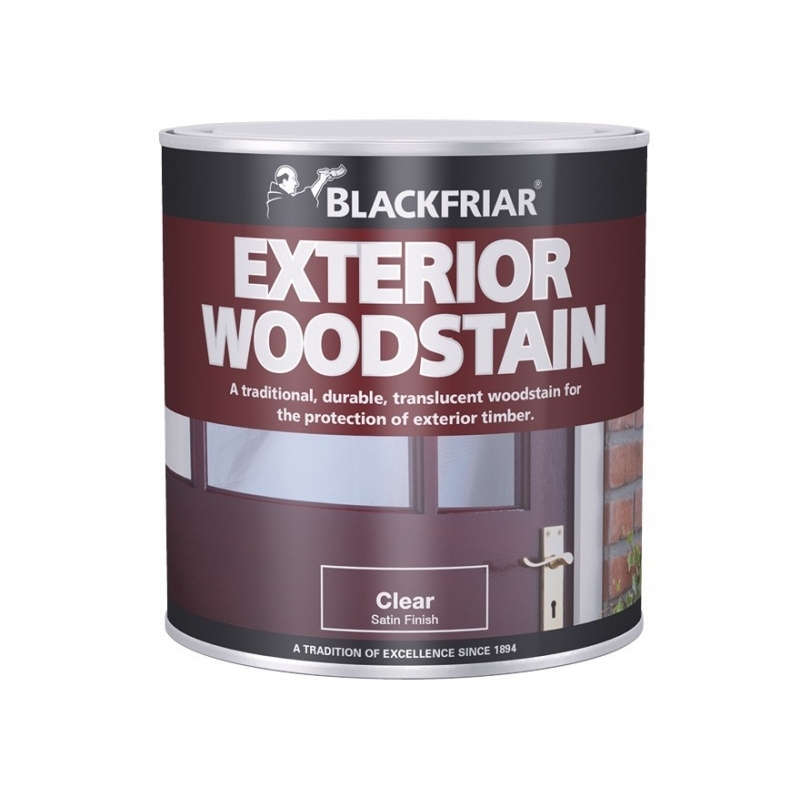 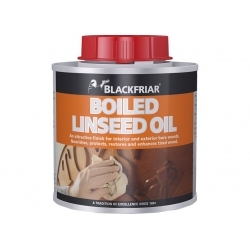 Blackfriar Exterior Varnish provides protection to all types of wood by resisting UV light to give your wood superior durability when applied over Blackfriar UV Wood Primer. 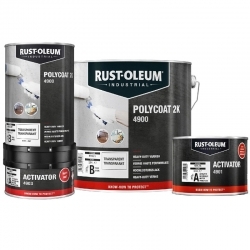 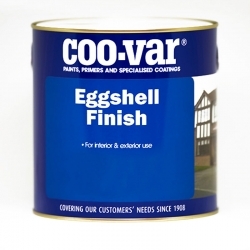 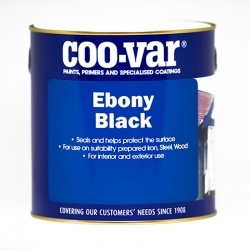 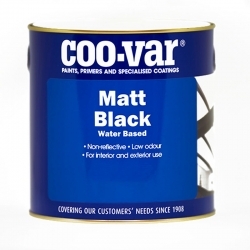 A water based, satin finish for interior and exterior timber and previously painted mineral substrates to provide a smooth, scratch resistant finish. 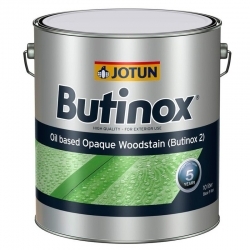 Jotun Butinox 2 has been discontinued by the manufacturer. 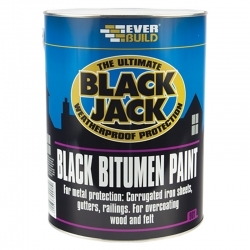 We now offer Jotun Demidekk Ultimate as an alternative.